Late night weddings can be surprisingly fun and mysterious! It often results from difficulties in planning Friday or weekday wedding where they know a lot of guests have to get there after work. 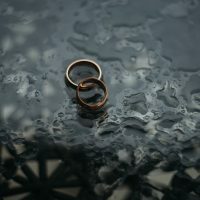 If you plan for the full moon cycle and make sure it’s in a non-rainy month, you could actually tied the knot in full moonlight while your friends look on holding candles. Fortunately the Big Thanks Band are night owls. We can go the distance with you and play all the moonlight romantic classics for your midnight wedding. We love to do songs relevant to late night weddings: Walking on the moon by the police, Moon dance by Van Morrison and Dancing in the Moonlight. Don’t forget those midnight jazz classics: Round Midnight by thelonius monk and Moonlide serenade by the Glen Miller Band. We have all the romantic night time classics to serenade you and your guests through to the early morning. What a beautiful way to drive away from your reception as the sun rises and you scoot off to your honeymoon. 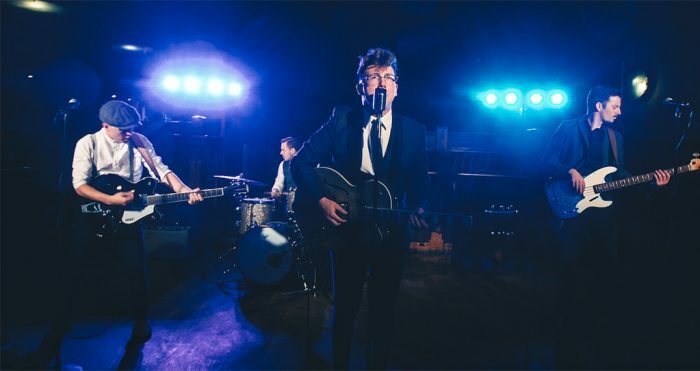 With the correct lighting and camera equipment for your late night weddings provided by Crash Symphony productions, you can capture the whole experience on video and have a perfect, studio quality sound track to your big night. 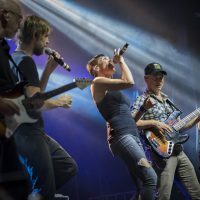 With state of the art, unique set up techniques, Crash Symphony Productions and the Big Thanks Band have designed the ultimate system for capturing you and the band as the stars of a virtual music video clip. Book today to secure this unique experience and have a chat with our consultants about the sort of music you would like played at your midnight wedding. We do a large variety of styles from RnB to blues, rock, jazz and all the pop classics from the eras. We find as a wedding band we have to be very versatile and cater for all the different age groups that might end up at a wedding. 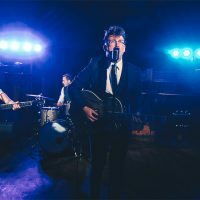 Your parents, grandparents, children and closest friend will all be grooving on the dance floor to our amazing wedding singer and the Big Thanks Band.